We’ve all been to weddings where the DJ plays the exact same music, with the exact same sound system, wearing the exact same tuxedo and saying the exact same words and announcements into the microphone. Sigh. Boring? Maybe. 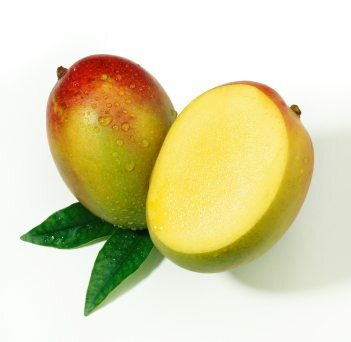 Vanilla and chocolate, while delicious, are typical and expected, but mango is different, spicy and really cool! Pick flowers that express your unique personalities. Don’t be afraid of bold colors. Wear the dress that says, “Wow” about how beautiful you look and feel. No predictable chicken dinners for you! Pick songs for your first dances that are out of the ordinary. Fast dances can work. Try them out. Find the DJ whose music and entertaining skills will have guests out of their seats so much they barely have time to finish their cake. Create a playlist with your DJ containing songs that you don’t hear every day. Guests will go straight home to update their Facebook status to “best wedding ever”! Work with your DJ to come up with exciting new ways to throw the bouquet or toss the garter. Why be one of the crowd? There are so many excellent DJs, and they all have their own style and personality. In the New York and New Jersey area alone we have thousands of wedding DJs. Hire one willing to go the extra mile to create wedding day entertainment that expresses your unique wedding style. Don’t settle for vanilla when what you really want is mango. But how do you go about finding a mango favored DJ? It may be hard for you to determine which DJ has that special ability to give you what you like. Take the time to interview as many DJs as necessary to find the most flavorful, mango wedding DJ. Remember, different doesn’t have to mean cheesy and the interview will certainly help determine the difference. Read more about how to hire your wedding DJ. Dare to be different…consider the mango!